A traditional Spanish dish consisting of rice flavored with saffron, shellfish, chicken, or sausage, vegetables, plus other seasonings. Long grain brown rice that has been precooked and dehydrated. After processing, this rice cooks in 10 minutes. Rough rice processed through a steam pressure system, milled then precooked and dehydrated. This process gives the rice a separate extra fluffy texture cooking in 10 minutes. Rice subjected to a steam pressure process. It is not precooked. This process helps retain many of the vitamins found in unprocessed rice; nutrients soak into the rice kernels before the outer layers are removed; light golden or amber in color. 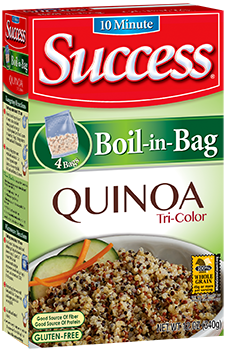 It cooks up fluffy with separate distinct grains. (See Mahatma Gold® or Carolina Gold® and Al Dente). Wild Rice comes from the field with 60% moisture content (White Rice is 20%). Parching is part of the drying process which gives Wild Rice its characteristic smoky, roasted, nutty flavor. The end result is a product with 7-12% moisture. All of our Gourmet House® wild rice retail products have undergone this process. For more information, visit www.gourmethouserice.com. A variety of long grain rice originally grown in India. It was the first type of rice (often called Carolina Rice) to be cultivated in United States and was imported into Britain, although cultivation in the Carolina's ceased soon after the end of the American Civil War. Puerto Rican-Spanish word for “crusty rice at bottom of pot”. A registered trademark used to describe parboiled rice. (See Parboiled Rice). Traditional Middle Eastern style dish consisting of sautéed rice, onions, and various spices. 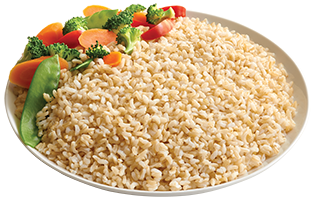 (See Mahatma® Classic Pilaf or Carolina® Classic Pilaf). Similar to pilaf, but highly spiced due to its Indian origin. is black or purple rice from the Philippines. Regular milled white rice, often referred to as "white" or polished" rice is the most common form of rice. The outer husk is removed, and the layers of bran are milled until the grain is white. Arabic word for “pilaf”. See Pilaf. Grown in Louisiana, this long-grain rice is a cross between Basmati and regular rice. It tastes like buttered popcorn, but the scent is stronger than the flavor. White or brown rice that has been completely cooked and dehydrated after milling. This process reduces the time required for cooking. (See Boil-In-Bag Rice). Filipino word for “rice flour” often used in baking or breakfast meals. Refers to “Rice cake” or “Rice muffin”.